This article is about how to add Onion to the ezTalks app. Learn how to install the Onion. 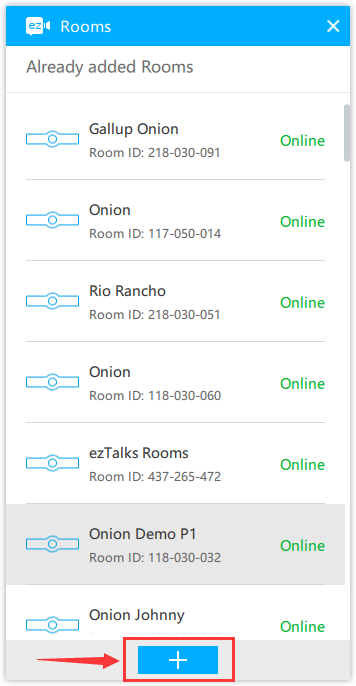 If you have already connected the Onion to your router with an ethernet cable, you can directly add the Onion to your ezTalks app on a Windows/Mac computer. However, if you need to connect the Onion to your wifi network, you need to use your mobile device( Android or iOS) to add the Onion and configure the wifi connection. 1. Sign in the ezTalks app on your Android phone, iPhone or iPad. 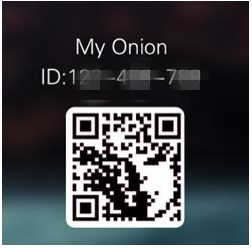 Note: You can also enter the Onion ID on the mobile app to add the device. The Onion ID can be found on the TV/Monitor which has been connected to the Onion. 5. 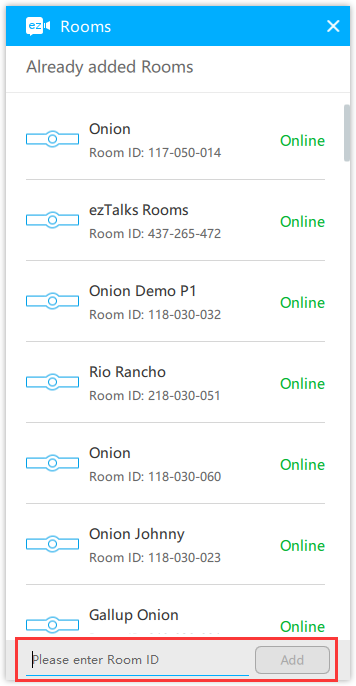 If you have already connected the Onion to your router with an Ethernet cable, the adding process is finished and you can use the Onion to host a meeting or join a meeting. 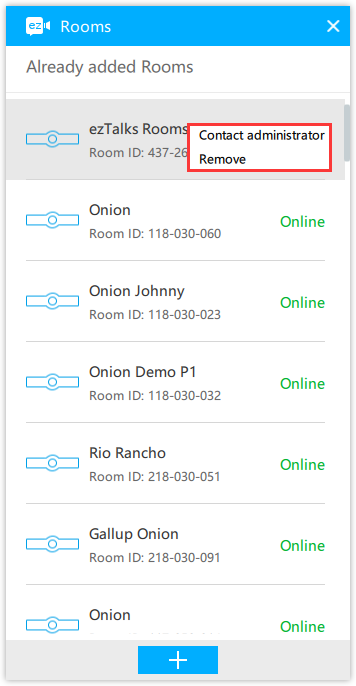 If you need to connect the Onion to the wifi network, you need to set up the network by entering the wifi name and password. 1. 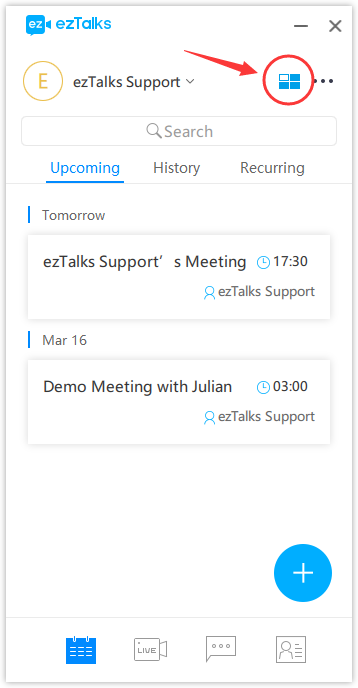 Sign in the ezTalks app on your Windows or Mac computer. If you do not know how to sign in, click here. 3. Then click on the + icon and input the Onion ID, which will be displayed on the TV or monitor.